Deaf Centre Manitoba Inc.: International Day of Persons with Disabilities for Saturday December 3rd!! 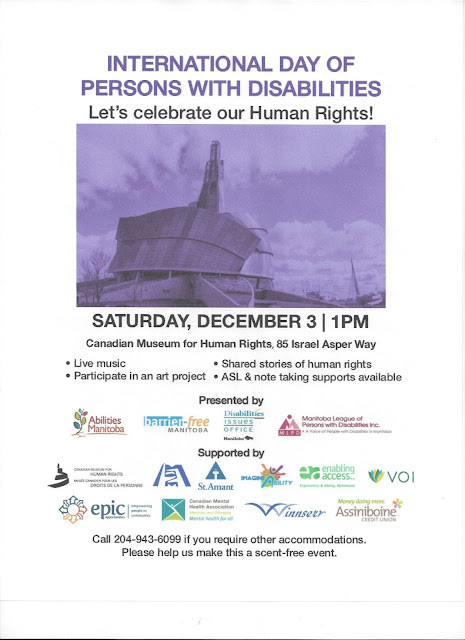 International Day of Persons with Disabilities for Saturday December 3rd! !